Lara Bergen is our next Wizard of Words! This Virginia-born editor-turned-author makes her home in New York. She’s written more than 100 books, delighting readers everywhere with works from Disney, Nickelodeon and her own Sophie series. Fun fact: before becoming an author, Lara wore many hats – she answered fan mail for The Hardy Boys and Nancy Drew and took notes at United Nations and U.S. Capitol meetings among many, many other jobs! Thank you for contributing to Wizards of Words series, Lara! 7 Magic Islands: Growing up, you wanted to be an astronaut or an archeologist, but instead you found a job where you could read for a living as an editor. What was it like being an editor for several years? Who did you work for and how did it prepare you to be an author? 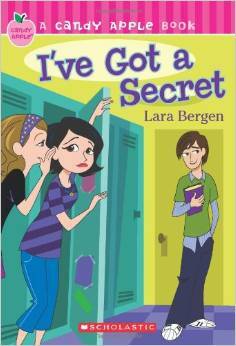 Lara Bergen: Working as an editor – especially of children’s books – was a fabulous experience. Not only was I working in an office with smart, creative people who shared my love of books and reading, but I was able, for the first time in my life, to meet and work with actual authors and artists: Demi, Jean Fritz, Ruth Heller, Kate McMullan… And I was actually asked to write books of my own. Honestly, the nine years I spent at Grosset & Dunlap gave me the experience, confidence and, probably most helpfully, the contacts to go out and start writing full-time. It’s hard to say if I would have found my way to writing otherwise. 7 Magic Islands: It’s funny the things that send us on the path we’re meant to walk. You’re an avid reader and have been since you were a child. Of all the books in your collection, which do you hold the most dear? 7 Magic Islands: It’s so neat to get reminders of your favorite stories! Speaking of stories, as an editor, you must have worked with several authors, and as we know, even before you were an editor, you read constantly. If you could choose one author to sit down with for dinner one night, who would you choose and why? Lara Bergen: Just one?! Wow! That’s a hard one! If we’re counting living or dead, I think it would have to be Jane Austen – who I would like to think would be as lively and funny a conversationalist as she is a writer. I’d love, too, to catch her up on how much (or how little) society’s progressed in the past 200 years. If, though, we stayed away from raising the dead, I’d see if by any chance Kate DiCamillo was free. I really admire her work, and she seems unintimidating enough that I might actually have the courage to speak. 7 Magic Islands: If we get in touch with Kate, we’ll pass the message along! 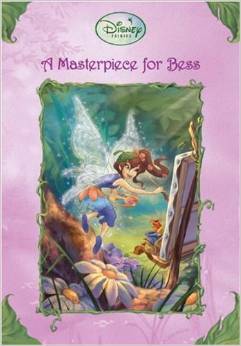 We are fans of the Disney Fairies series, and noticed you wrote an installment, A Masterpiece for Bess. What was the experience like for you, and how did it compare to your work with the Disney Princesses and Toy Story? Lara Bergen: Writing a Disney Fairies chapter books was a great experience, and though I love working with brilliant and beloved material like Toy Story and the Princesses, the extra fun thing about writing A Masterpiece for Bess was how much of Bess’s and the Fairies’ world I was free and invited to create. With more established and familiar properties, the job is a bit more limited creatively, but since the Fairies were just getting started, I and the other writers were able to bring much more of our own imaginations to our work. 7 Magic Islands: We’re all about creating new worlds! 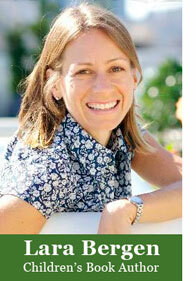 You wrote four books for Disney, including two Disney Princess books – Forever a Princess and Enchanted Stables. Which Disney fairy tale did you enjoy the most as a child? 7 Magic Islands: Sleeping Beauty is a true classic! Staying on the topic of Disney, of the Disney books you’ve worked on, A Busy Day and Forever a Princess aren’t your standard fiction formats. 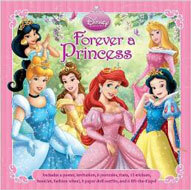 Forever a Princess seems to be more of an activity book whereas A Busy Day is an interactive Toy Story book. How was writing these books different from, for example, writing a story in more standard format like your Sophie or Candy Apple books? Lara Bergen: There are so many differences, really. First of all, when you’re writing chapter and middle-grade books such as the Sophie and the Candy Apple titles, you need not just an idea for a story, but a plot, a subplot, a strong story arc; the whole nine yards, basically. An activity book, on the other hand, needs only the most basic “story.” Instead, the writer’s imagination is focused much more on the interactive aspect, and what kinds of things the reader can do with the book that will be original and surprising and fun. Last but not least, those longer, standard books take a lot longer to write! 7 Magic Islands: It must be fun to mix it up when it comes to writing styles. You’ve worked on a variety of series throughout your career, writing Disney stories as well as well-known Nickelodeon series Go, Diego, Go! and Dora The Explorer. How is writing for characters established by other writers different from writing a story about a character you created? Lara Bergen: The biggest difference I see is the most obvious: your characters are yours, and no one could ever know them better than you. When you write about an established character, you need to put just as much energy into crafting the story and the words, but you must also be respectful of how they belong to someone else, and how there’s a very good chance, as well, that your reader might be even more familiar with their favorite character than you are. 7 Magic Islands: It’s different to write for established characters, to be sure. If we might talk about some of your own characters for a moment, your Sophie series is well-reviewed and a lot of fun! We noticed in past interviews you mentioned that your children, specifically your daughter, served as inspiration for the title character of the series. Do your characters evolve as your children get older? Will Sophie grow older? What are your plans for the future of the series? Lara Bergen: Alas, after seven books, there are no plans for any more Sophie books. I really did love writing about her and her family and friends. The characters all came so easily to me – which is not always the case – and I would love to have taken them more places. I don’t think Sophie would have aged much, though, no matter how large the series grew. I think chapter books, at least realistic school stories such as these, work best when the main subjects are about same age of the readers. 7 Magic Islands: If only we could all stay the same age…You’ve described yourself as the low-key, unassuming girl as a child, which in some ways sounds similar to Sophie’s friend, Kate. How do you or people you know influence your characters? Which do you find more enjoyable to write for: characters with personalities very different from your own or something closer to home? Lara Bergen: I like to write what I think are wholly original characters, with little quirks or idiosyncrasies which I might have noticed in someone I met or know. There is, after all, no way to make a character or situation more “real” than to base it on real life. But I haven’t been interested (yet, at least!) in basing any character completely on anyone I know or have known. The fun part of fiction, I think, is the freedom to make things up, and often for me, the more different from me the character is, the more I enjoy writing about them. 7 Magic Islands: It must be intriguing to dive into the minds of characters different from yourself. You’ve written for several characters in a number of fictional universes throughout your career. Which character do you identify with the most and why? Lara Bergen: Ah! Cinderella, definitely. I’m kidding, unfortunately, of course. My feet are way too big! While I think every original character I’ve created has a little of me in them somewhere, I’d say that Amanda (or Mandy), from the Candy Apple book I’ve Got a Secret, is the character I’d indentify with most. For one, she sort of lied about having a boyfriend…something I’m afraid I did in middle school, too. And she feels a little caught between groups, which is how I also felt in school. To tell the truth, I occasionally feel the same way now. 7 Magic Islands: It can sometimes be tough to identify with your characters! 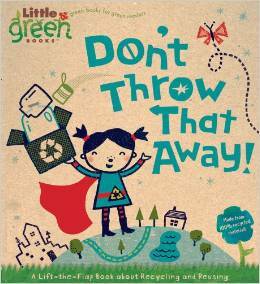 You’re credited with non-fiction titles as well, such as The Travels of Francisco Pizarro and Don’t Throw That Away! Do you prefer writing fiction over non-fiction? Why? How are the processes different? 7 Magic Islands: Writing’s never perfect, but at some point, it has to be perfect enough, right? The Candy Apple series is geared more toward middle-school readers, whereas much of your work speaks to the elementary-school-age demographic. How did you handle the transition between the two age groups in your writing? Lara Bergen: This transition was surprisingly easy. I sometimes wonder if it’s because my children had grown into middle-schoolers at just about the same time I wrote my first Candy Apple – just as they were crazy about Dora at the same time I was writing about her. I’ve been asked before, probably because of this, if I’ll start writing young adult and even adult books when my kids reach that age…but I think I’m ready to stop growing with them. I love writing about elementary and middle school. High school is too intense! 7 Magic Islands: According to your website, you’re available for author visits. Where have these author visits taken you? How often do you go? What do they consist of? Lara Bergen: A month ago, I would have been happy to say my author visits had taken me as far as Texas…but now I’m thrilled to report that I just returned from a whirlwind tour of Ecuador! And though I have had several Sophie and Candy Apple titles translated into Spanish, I have to say these invitations were in large part thanks to the Princesses, Fairies, and Dora! So successful was this trip, in fact, I may be going to Costa Rica to speak with more students in the summer. (Big Dora and Diego fans in Central and South America, I discovered!) On average, I visit just a few schools a year, and I usually share with students my personal story about becoming a writer as well as explaining how authors work and how books are made. A bit depends on the group’s size and age and what they’re working on themselves in school. 7 Magic Islands: Wow, your writing has certainly taken you on a lot of adventures! You have a lengthy resume with more than 100 books to your name. What are you working on for your next project as an author? Lara Bergen: Now that my Sophie series has wrapped up, I’d love to start another, and I’m halfway through writing the first book in a mystery chapter book series. I have a lot of middle-grade ideas, too, and even outlines. The hard part now is focusing on which to sit down with and pursue. 7 Magic Islands: Well, best wishes on your new series! We can’t wait to read it. You have a loving husband and two wonderful children, a son and a daughter. How does reading and creative writing mesh with your family life? How do you encourage your children to read? Lara Bergen: Parents, read to your children! Even if it’s just one book, over and over! And children, read to your pets, your toys, your parents, and yourself, of course! I’m glad that schools encourage kids to read at home as homework, but I do hate for kids to think of reading as “work.” No one should stop looking at the library or bookstore until they find a book that’s fun! The #1 key to reading these days for my family (including me): Turn off the computer and TV! 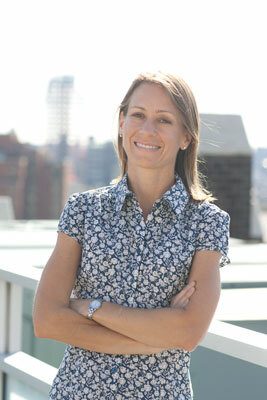 To learn more about Lara Bergen and her work, visit her online at www.larabergen.com!